PDF Expert 5 has just been updated with some sweet new features! The app is now universal to support both iPad and now iPhone! Speed improvements have also been implemented. 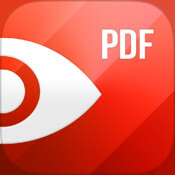 PDF Expert 5 is our pick as the Best File Manager app for iPad. Check out everything that’s new below and if you’re interested in more productivity apps for your iPhone and iPad, check out our selection of the Coolest Productivity Apps.